Is it quicker to travel by four wheels or two? 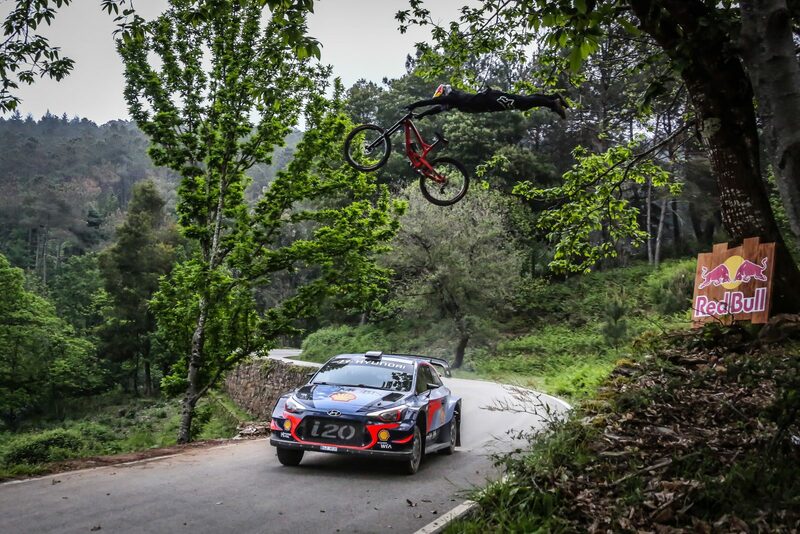 Common sense suggests it would be no contest between the 300-plus bhp Hyundai Motorsport rally car and a downhill mountain bike. But a duel between Dani Sordo in his World Rally Championship car and Spanish freerider Andreu Lacondeguy proved it was anything but. – The pair took on the novel challenge titled Fast Encounter on Lousã hill in the heart of Portugal, Sordo on a rally track, Lacondeguy on a neighbouring bike track. – Their courses overlapped, car jumping over cyclist and vice versa as the fast-travelling pair cut through a stunning green vista meandering through windmills dotting the landscape. – Lousã once had a place on the WRC calendar back in the 1980s and 1990s while this particular bike track is a favourite of the Atherton siblings, Dan, Gee and Rachel, as well as Lacondeguy himself. 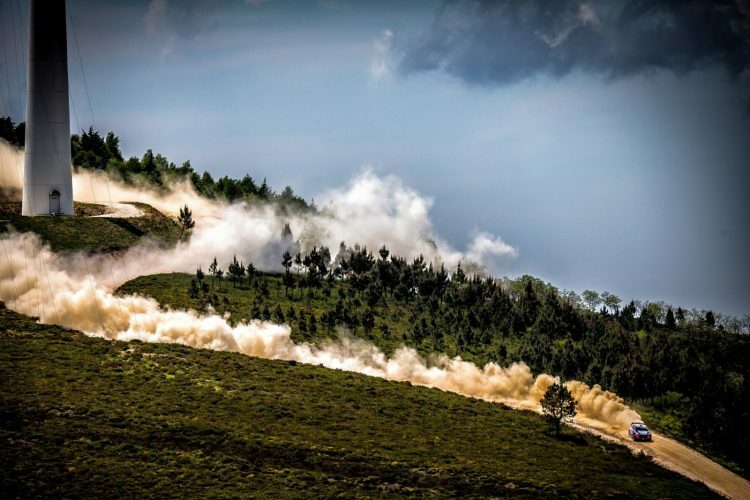 – On four wheels, the descent is a more scenic route, kicking up gravel, dust and leaves along the way while Lacondeguy’s path to the finish bell is a tad more direct, thereby evening up the seeming no contest. – And as for the winner? Sordo, but barely.